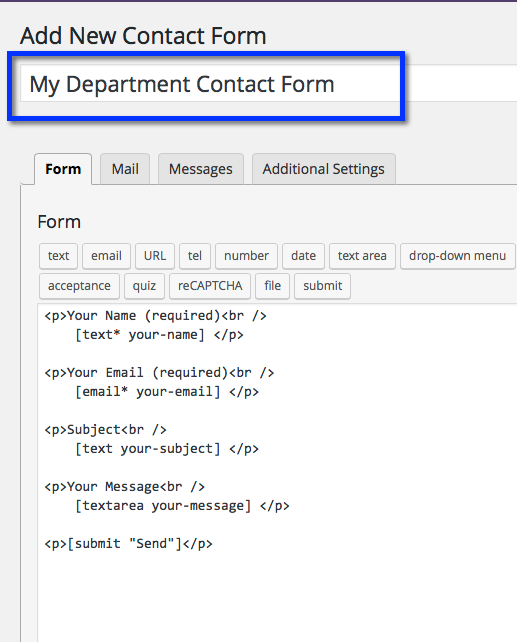 Name your contact form. 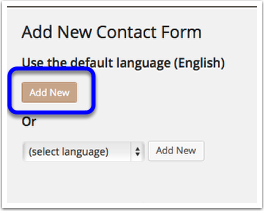 Use appropriate names for various contact forms. “Jim” or “A/V” rather than “Contact 1” and “Contact 2”. 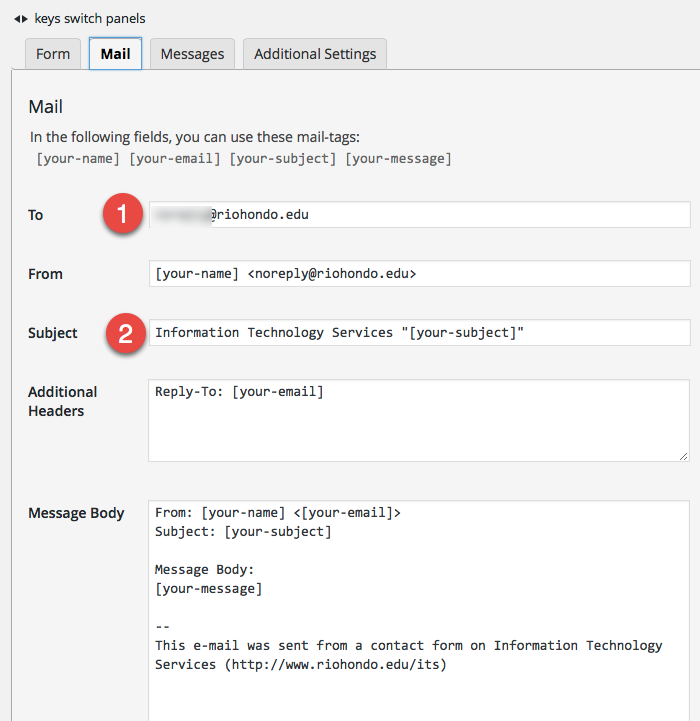 Select the Mail tab and change the recipients email address under Mail. 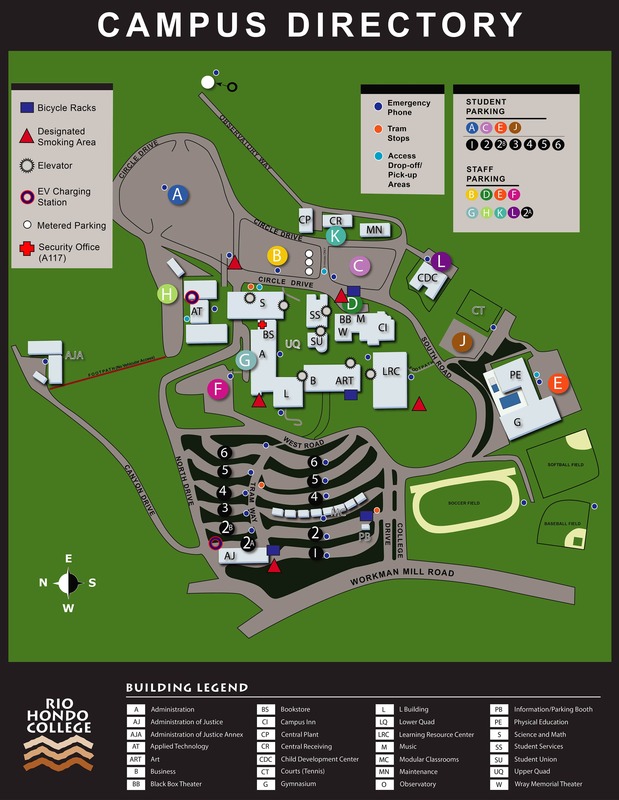 This is the address that will receive all messages from this contact form. If desired, change the Subject line to something you will recognize. E.g., [Web Contact Form], etc. 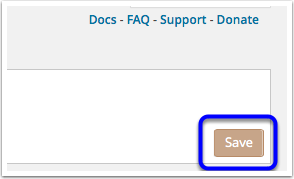 Save the contact form by pressing the Save button on the upper right. 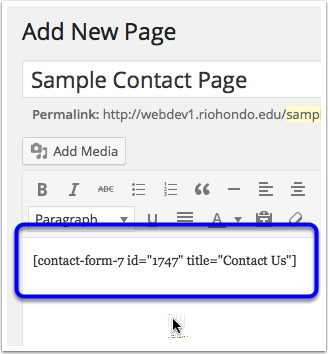 Paste the shortcode on the page in the location that you would like the contact form to appear. 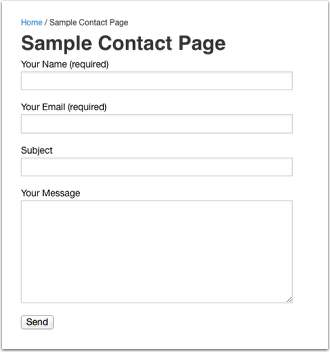 View the page and test your contact form.